What a treasure to have this piece to create amazing breads and pastas. It's a board my grandfather made for my grandmother for making pasta and bread from scratch. 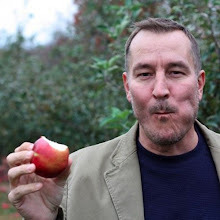 I have spoken of my Hungarian grandparents here on the blog before and somewhat coined a phrase from my grandmother, "If she did not grow it, pluck it or kill it she — was not eating it!" My parents have had this board stored away in their attic and I recently mentioned that I would like to have it and start using it. Well, my wish was granted! The board and the tools above are what everything looked like after I cleaned and restored the lot for use. 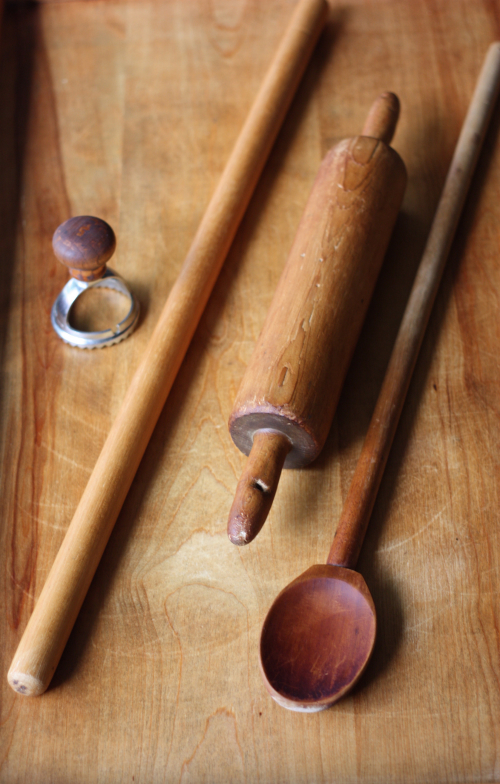 The pictures and process of bringing the board, spoon, and rolling pins above out of the closet and back into cooking action are detailed out in today's post. 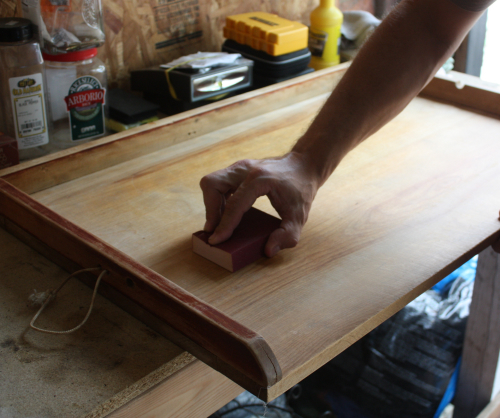 The board itself is 32 1/2 inches wide and 21 inches deep. 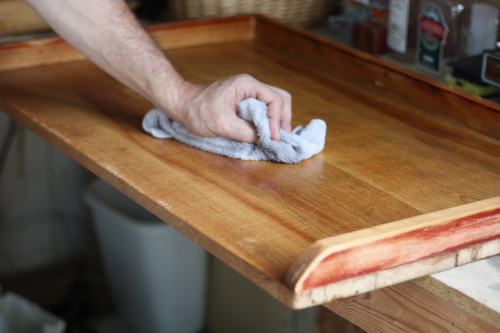 Every time I have worked with pasta in the past I've admittedly made a mess on the counter and I believe having this board is going to allow for me to pull spread out while working and keep the mess contained for cleanup, which means I'll probably be making fresh pasta and bread more frequently. 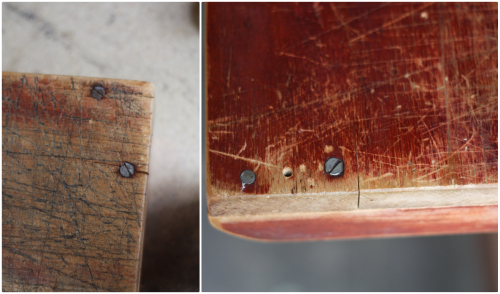 The bottom of the board shows the mismatch of screws and nails my grandfather used to put these mismatched pieces of wood together — which makes the piece all the more intriguing to me. 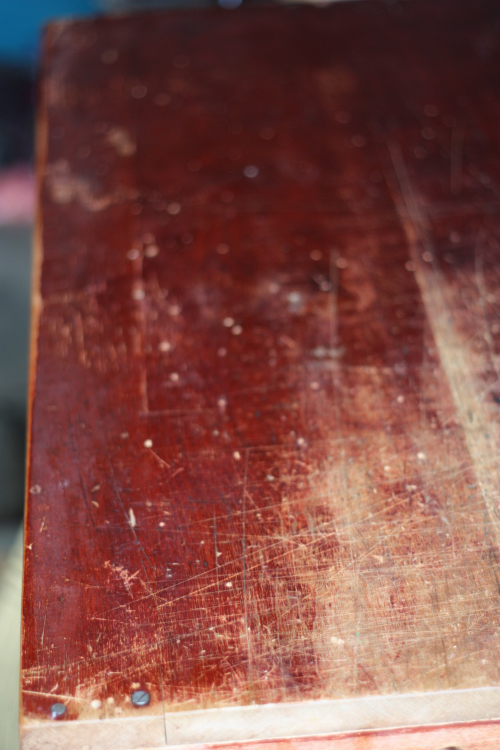 The reddish patina also adds to its aged character. Next up, I generously applied mineral oil worked it into the surface with one of my rags —this really brought out some beautiful lines in the wood while putting a protective barrier on it at the same time. I put on 1 coat and waited 24 hours before applying the second coat. The spoon has it's own character as it was also made by my grandfather out of a single piece of wood. It measures a whopping 25 inches in length and would have been used to stir large pots on the stove — and certainly a big pot of Hungarian goulash. Here are all the pieces after being sanded and treated with mineral oil. The board especially took on new life if you refer back to the dull thirsty wood in the second photo. So I hope my grandmother (Nagymama) or grandfather (Nagyapa) is looking down smiling that this board has been brought back to life and will once again be filled with the simple ingredients of flour, eggs, and salt to create many wonderful dishes. 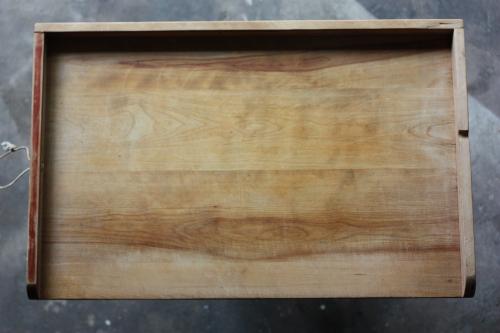 This fall the board will play an important part in posts I bring to the blog as I venture into pasta and bread making. 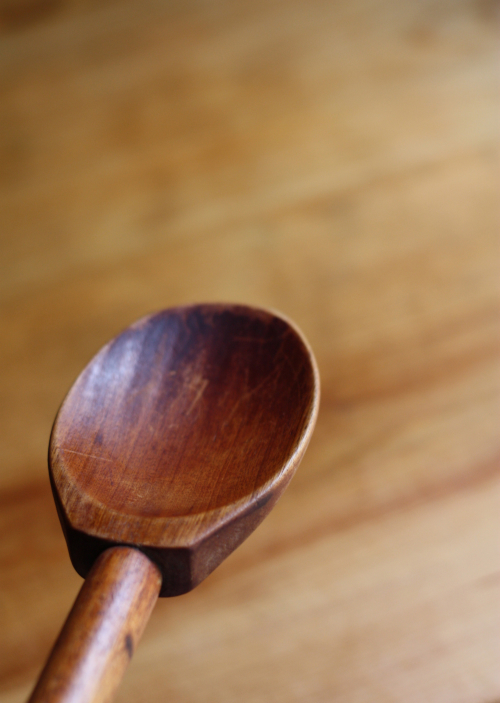 Is there a particular kitchen tool or utensil passed down that has sentimental value and is still getting used on a regular basis in your kitchen? The board and spoon above are definitely those for me. It looks beautiful, Tim! You did an amazing job! Thank you Tara, I cannot wait to get back from NYC and start using it! 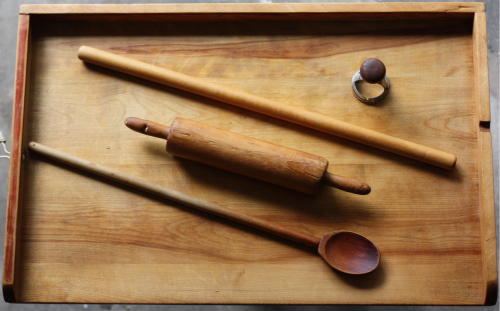 What a lovely story - I have an old baker's board not unlike yours I use everyday. Thanks to you Tim I now know how to pretty it up! Aww thanks! I cannot wait to start using mine next week! What a wonderful heirloom, and far better that it's in use again! 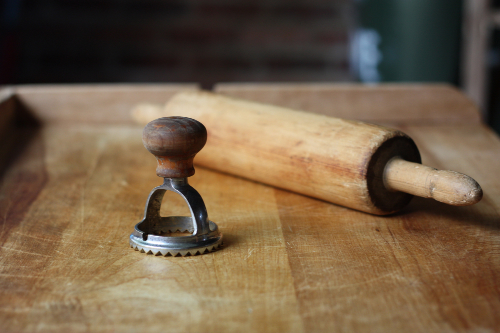 I've got my great-grandmother's 120 or so year old rolling pin. I treasure it, and can only think she'd be pleased to see where it ended up (in Israel, thousands of miles from where she lived in NY - and used for everything from pie crust to pizza to fondant for the kids' birthday cakes). Robin it sounds like you have quite a treasure also. I happy to be in NYC right now and can't wait to get back to Richmond and use the board next week! Thanks for stopping by! Thanks Eva for the kind words! I am certainly looking forward to using it!